The Philosophy Of Fasting In Ramadan. So long as man regards himself a casual concourse of atoms, human development will be lopsided even as what he thinks that he is, nothing but a spiritual being. The former will lead to materialism and the latter to monasticism. Islam encourages neither for man is not only a body and soul alone, but he is body, mind and soul. It is only when the functions of these three are properly regulated then there will be happiness and peace. This can never be achieved through suppression of the body, mind or the spirit. It can be brought about only through the submission of the bestial to the divine. 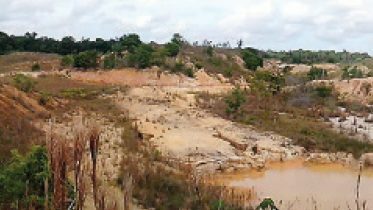 We feel, on occasions, even at this stage of evolution those primitive and elemental passions which without the softening and soothing and humanizing influences of certain religious practices lead to dire consequences. These practices help man in his transition from manhood to super-manhood, not by a process of suppression, but through sublimation, leading him on from the perversion of human nature to its perfection. One such practice is FASTING. It is an institution common to all religions of the world, and therefore its efficaciousness as an aid to spiritual development cannot be doubted. “Fasting is prescribed for you as it was prescribed for those before you so that you may guard against evil,” says the Holy Quran (Chapter 2 verse 183). A perusal of the history of religion will reveal that fasting was resorted to by the pre-Islam religions as a mark of sorrow, to propitiate an angry deity or for the expiation of one’s sins. But Islam has completely changed the motive for and the meaning of fasting. No matter what befalls one either as an individual or as a member of a community, one should fast. Fasting, therefore, was not contingent on individual or national calamity but it was made compulsory. The significance of fasting has also been changed. It is not for the appeasement of Allah or for the expiation of one’s sins that one ought to fast but to guard against evil. They alone can guard against evil who are ever vigilant. Moral lapses are caused by that myopia which fasting alone can remove. By intensifying the faculty of awareness, fasting enables an individual to perceive the approach of evil. To be forewarned is to be forearmed. The Muslims whose sense of awareness has been quickened by fasting is fully fortified and conquers evil. As the Muslim is enjoined to fast in order to guard against evil, therefore fasting is not starvation or abstinence from food but abstinence from everything that is evil. This idea is clearly brought out by the Quranic verse (Chapter 2 verse 184) “Fast a number of days,” If starvation had been considered as a virtue by itself, the Muslim would have been enjoined to fast always or at any rate for as many days as he could. But a definite period has been fixed and the month of Ramadan, to which a special sanctity is attached on account of the fact that the Quran, which is a book of guidance for all times and all climes was first revealed in that month, has been set apart for fasting. Islam does not advocate asceticism. The Muslim can enjoy all the lawful pleasures of life. But absorption in worldly pleasures puts him off his guard and makes him an uneasy prey to the forces of evil. The body is first affected and then the mind and man is denied that happiness which flows from physical health and mental peace. It may be argued that instead of fasting for a whole month one may keep one’s body hale and healthy by a well-regulated life. This argument is based on the assumption that man is body alone, the soundness of which should be his one and only consideration. No doubt it should be the endeavour of every one to be physically sound, but this result can be achieved only when the agency that controls the body is sound. The Rolls Royce may be good but if the driver is bad it would turn turtle. The spirit is the controlling agency and unless it is strong it cannot exercise that effective check and control on the carnal forces whichever threaten to rebel. Fasting imparts that strength to the spirit without which it cannot subdue the recalcitrant forces of the flesh. The early Muslims whenever they undertook a task, however seemingly impossible, they accomplished it. This was because they had an indomitable will. How did they develop it. It was through fasting. When a man cannot get anything to eat and starves, it is not fasting. The Muslim who fasts abstains from food and drink, not because he cannot get them but because he has determined not to touch them. To be surrounded by every kind of delicacy and vet not to taste it is to give proof of that strength of will which every human being should develop if he is not to succumb to temptation. He alone will lead a virtuous life who thinks that he is ever in the presence of Allah, who watches every action of his. When this feeling comes over an individual he will shun evil. Nothing enables him to develop this feeling except FASTING. The man who fasts has everything at his command. He may eat when he feels hungry and drink when he feels thirsty, but he touches neither food nor drink, not because he is afraid of any mortal for there is none to see what he does in the privacy of his house but because he feels that there is Allah from whom nothing can be hidden. FASTING INCULCATES IN MAN THE FEELING OF NEARNESS TO ALLAH, a feeling which sin and inequity. It is only irresolute people who lead a dissolute life. Moral rectitude is attained through the strength of will. As has been pointed out above, fasting promotes it to a remarkable degree. When a man fasts he abstains from lawful things and indulgence in unlawful things is then easily avoided. Fasting does not kill desires but enables the Muslim to master them. Food and drink are no longer his master. They become his slaves. He has conquered the forces of greed and cupidity which are responsible for all the welter and confusion in the world. Maulana Nazir Ahmad Simab (ra) was a missionary to Trinidad from Lahore, India. He was brought to the country by ASJA in 1935. A university graduate and experienced teacher, he did pioneering work in the development and propagation of Islamic Education in Trinidad. He returned to Allah in 1942 at the age of 52. He is buried in the El Socorro Cemetery, Boundary Road, San Juan, Trinidad. 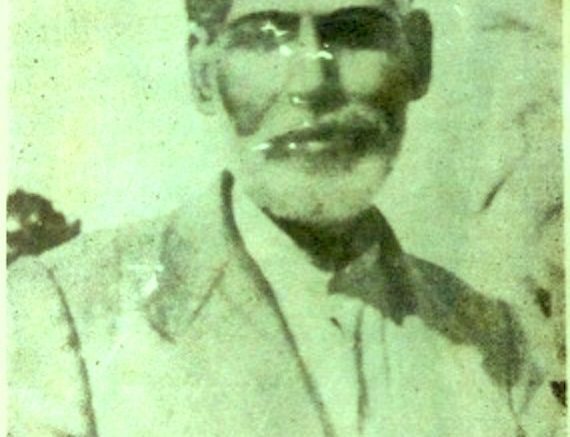 Nazir Ahmad Simab (ra) was a missionary to Trinidad from Lahore, India. He was brought to the country by ASJA in 1935. A university graduate and experienced teacher, he did pioneering work in the development and propagation of Islamic Education in Trinidad. 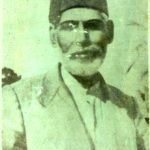 He returned to Allah in 1942 at the age of 52. He is buried in the El Socorro Cemetery, Boundary Road, San Juan, Trinidad.